Organic waste management is a persistent problem in many rural parts of Mexico and Central America. Rather than eliminate organic agricultural waste in a safe and sustainable way, small-scale farmers will often either leave their animal manure in cattle pens, or pile it in areas that are close to common living spaces for up to a year as they wait for the manure to decompose into organic fertilizer. This poses obvious health risks for both the farmer’s family and the broader community. Alex Eaton’s reaction to this culture of waste was the proposal of resource management among small-scale Mexican farmers through the introduction of appropriate bio digester systems. 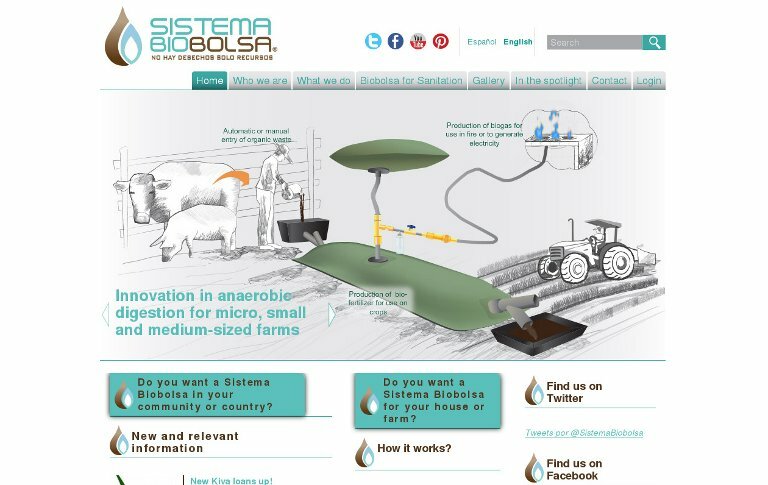 The goal of his Sistema Biobolsa model is to empower farmers to take an active role to escape the cycle of rural poverty. By engaging rural famers in a process consisting of financing, installation, training, and long-term accompaniment in the use of appropriate biodigester systems, Eaton’s project is fostering a new culture of resource management in Mexico and Central America. Initiatives that use biogas technologies to produce renewable energy are well known around Asia, Africa, and in some parts of Latin America. Eaton has designed a new, high-quality yet affordable bio digester that is expressly tailored to the particular needs of a small-scale farmer. Through the relatively easy-to-use technology, farmers can transform their animal waste into an odorless gas usable for cooking or heating water.